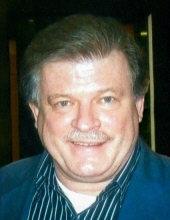 Robert Alan Stevens, affectionately known as Bob or Bobby to his family and friends, passed away Thursday, April 11, 2019 at Hubbard Hospice House, Charleston, WV. Born January 15, 1956 in Clarksburg, he was a son of the late Robert Troy and Izetta Jewell Powell Stevens. He was a graduate of West Virginia University where he was a member of the Theta Chi Fraternity. He is survived by his children, Sarah Reed and Jacob Stevens, sister, Cheryl Murto, and granddaughter, Annabelle Reed. To send flowers or a remembrance gift to the family of Robert Alan Stevens, please visit our Tribute Store. "Email Address" would like to share the life celebration of Robert Alan Stevens. Click on the "link" to go to share a favorite memory or leave a condolence message for the family.